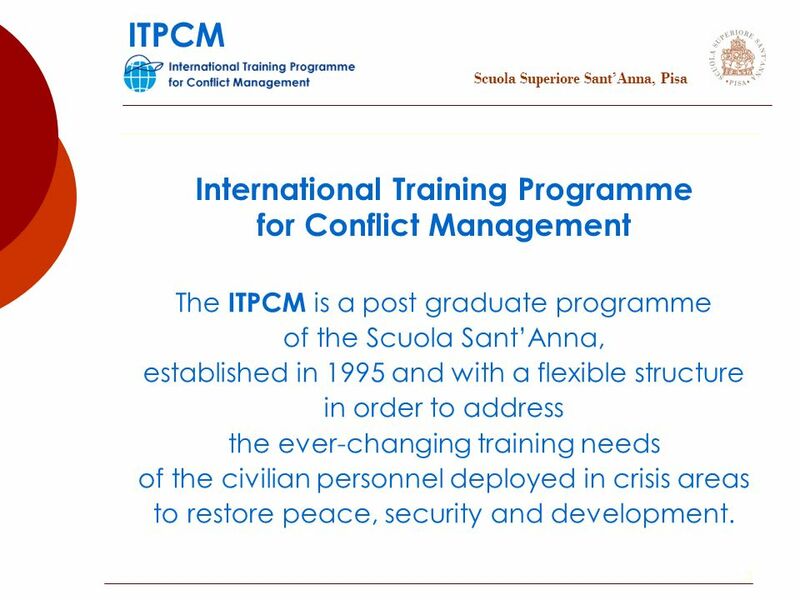 1 Scuola Superiore SantAnna, Pisa ITPCM THE INTERNATIONAL TRAINING PROGRAMME for CONFLICT MANAGEMENT of the Scuola Superiore Sant'Anna, Pisa Prof. Andrea. 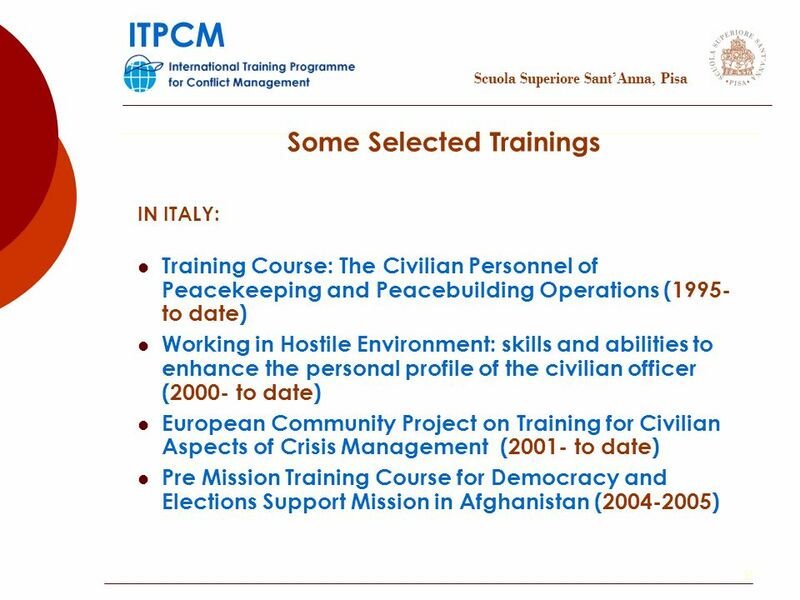 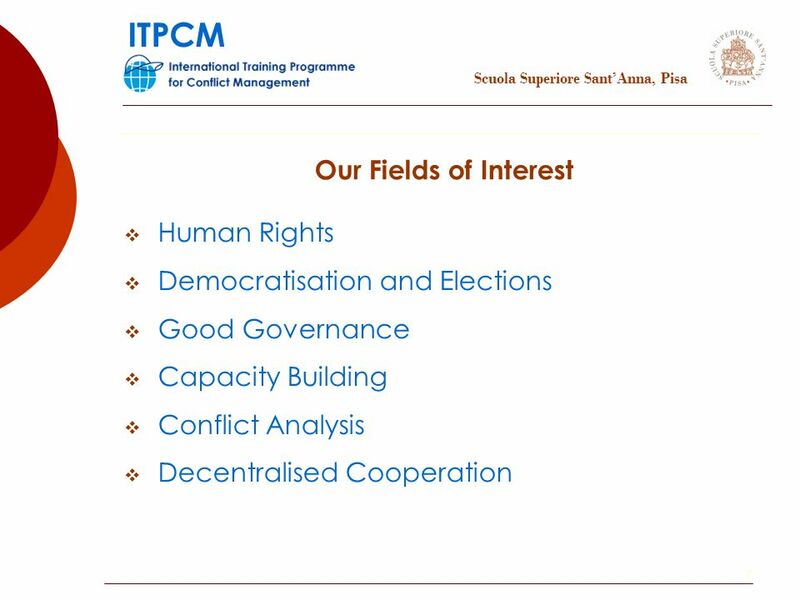 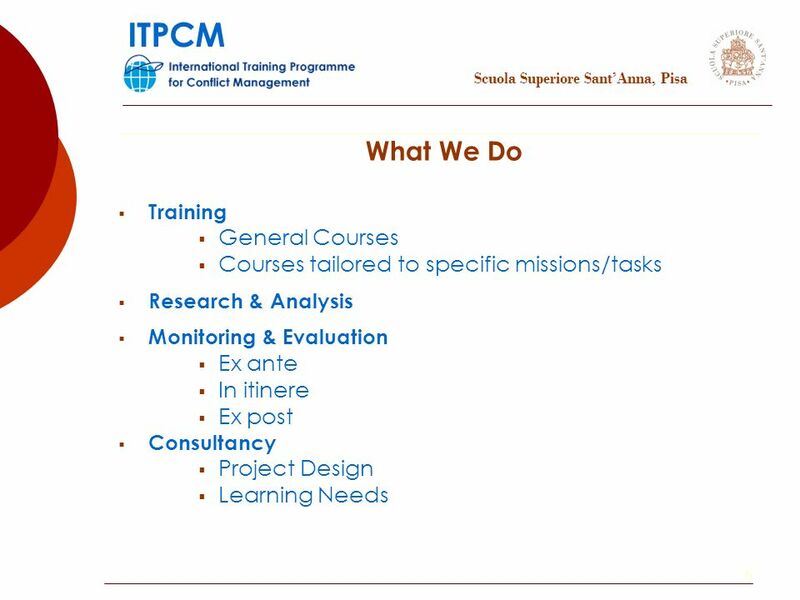 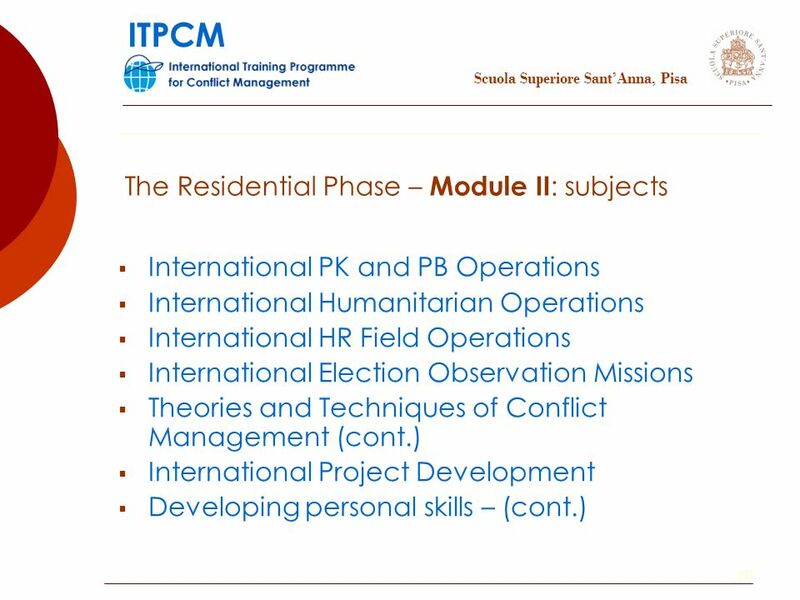 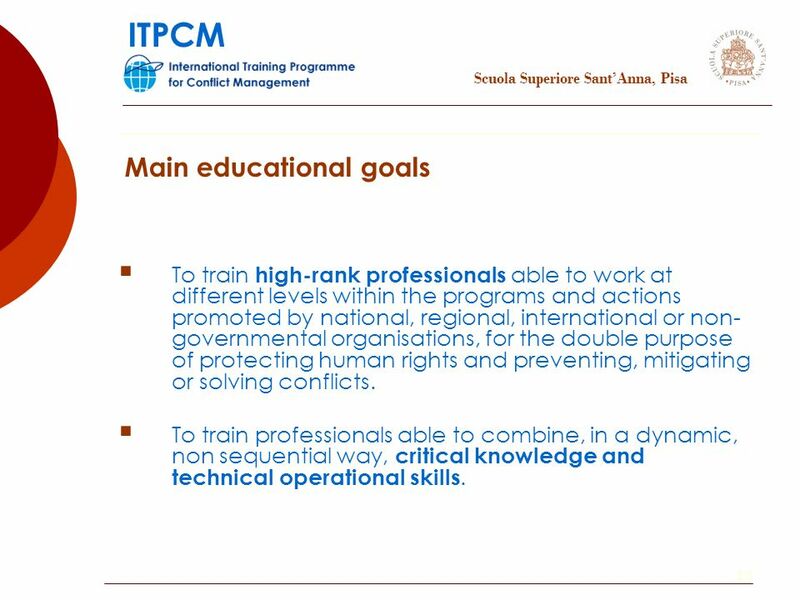 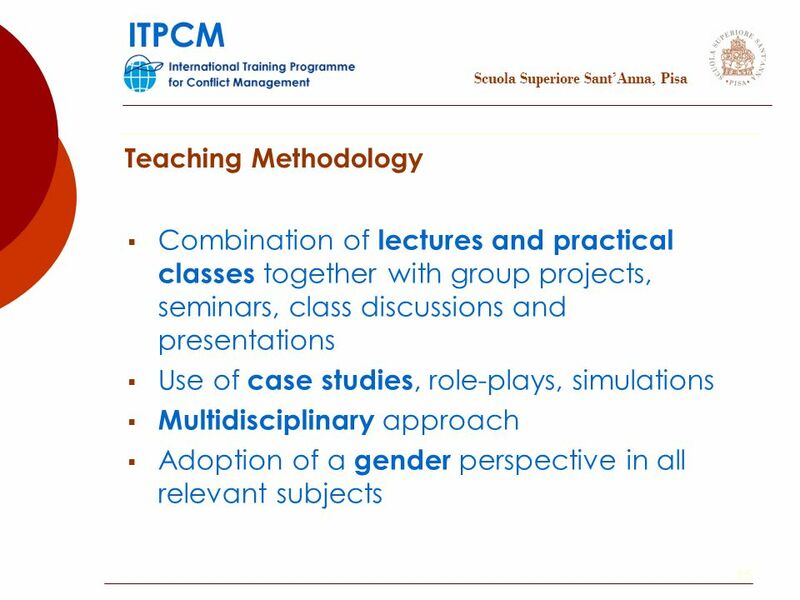 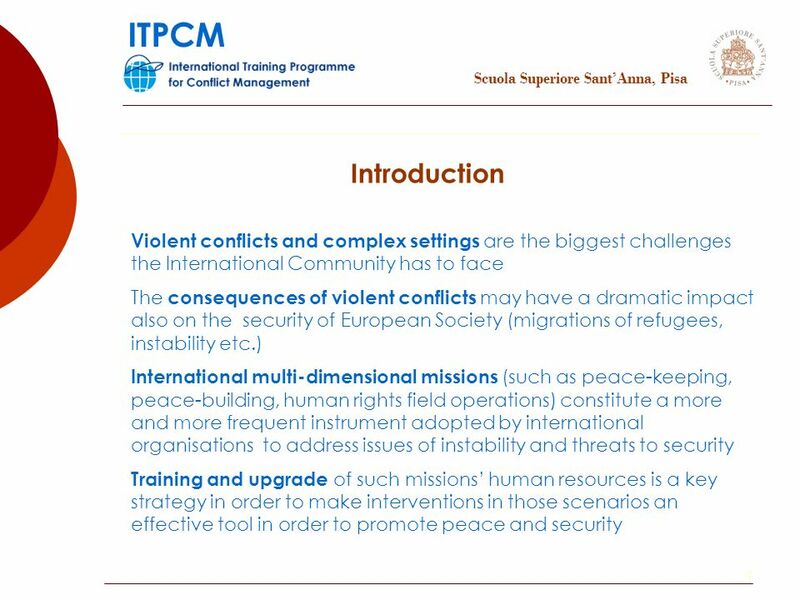 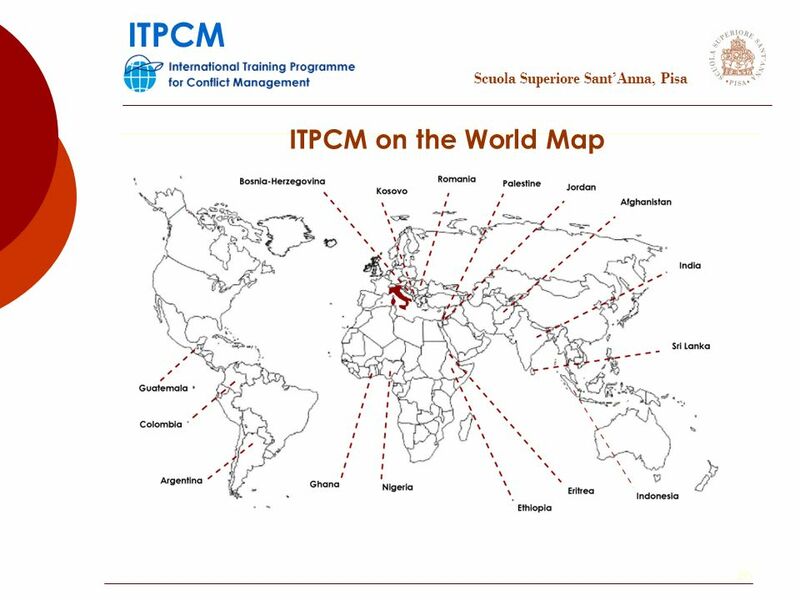 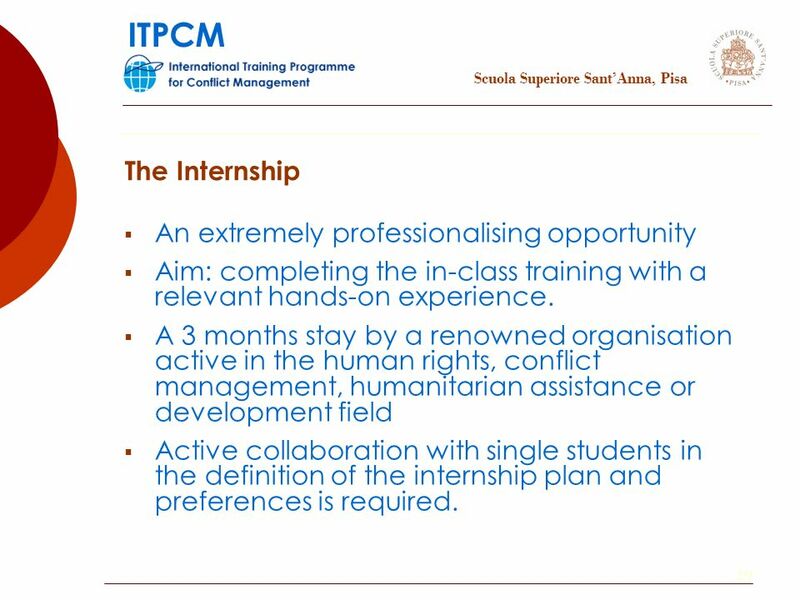 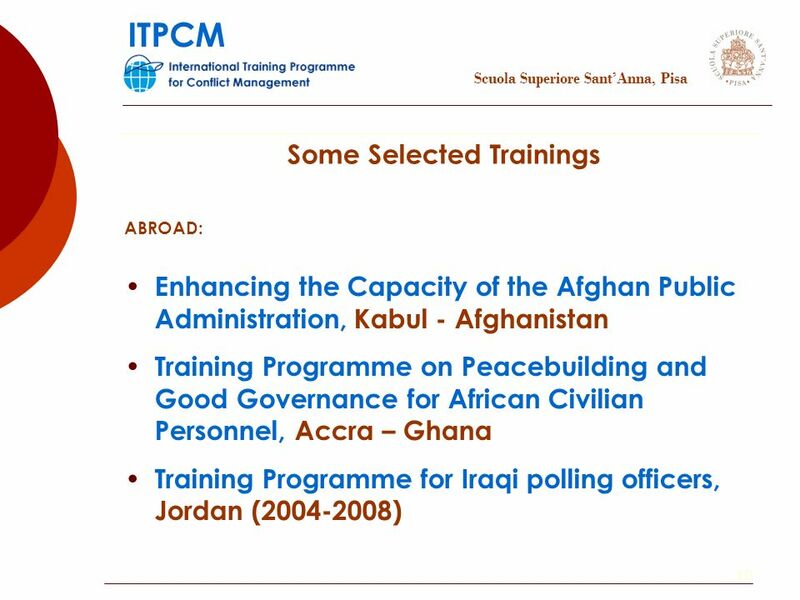 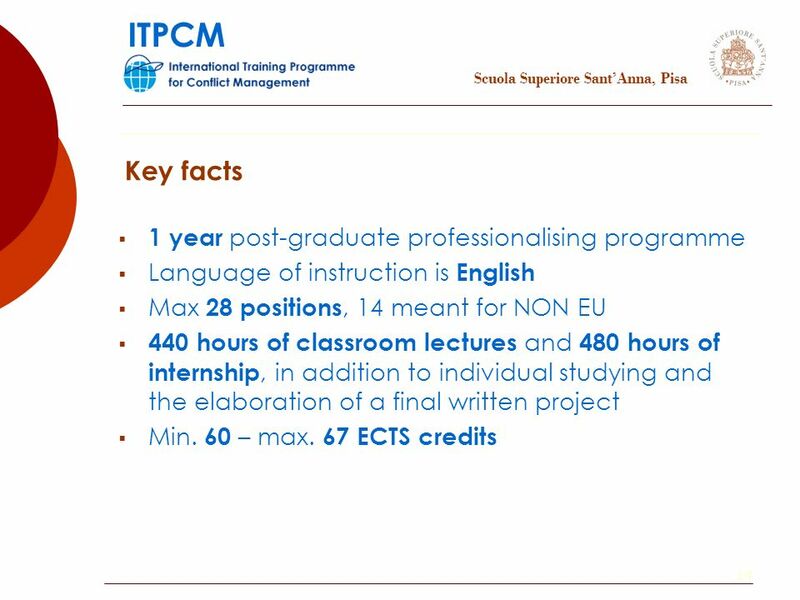 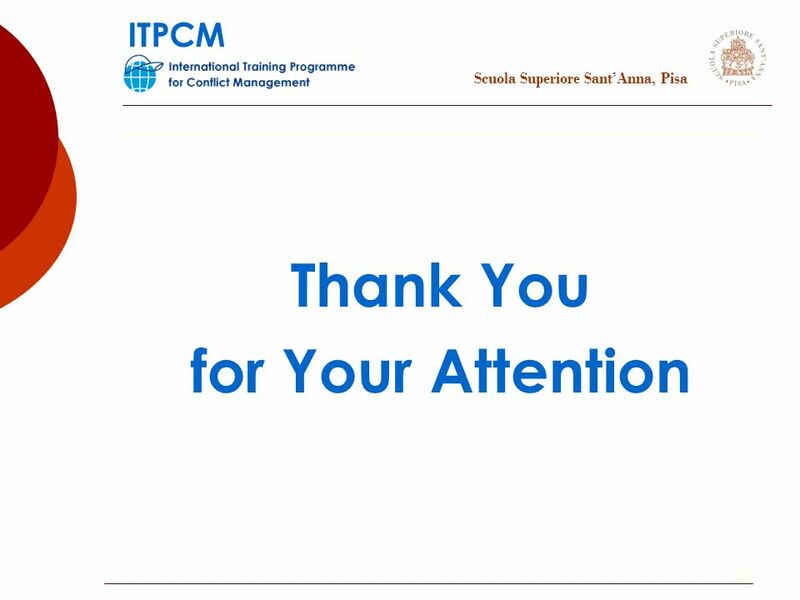 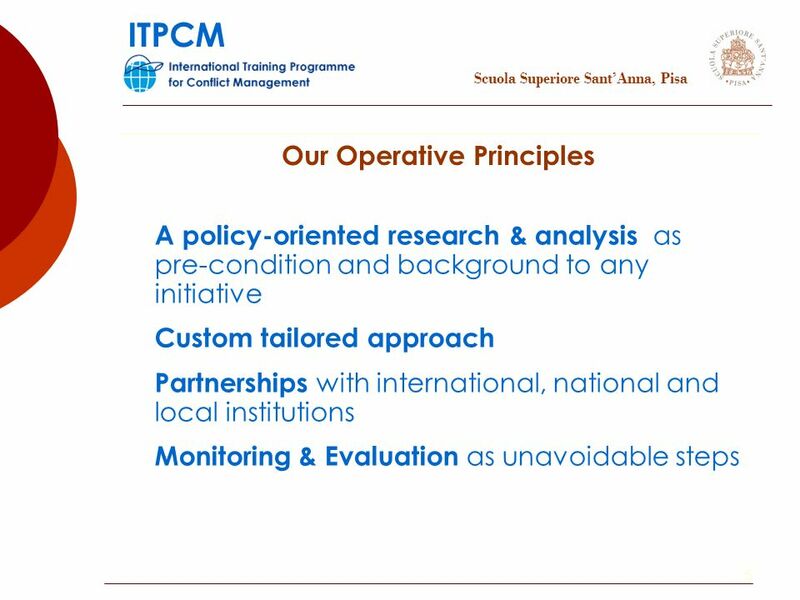 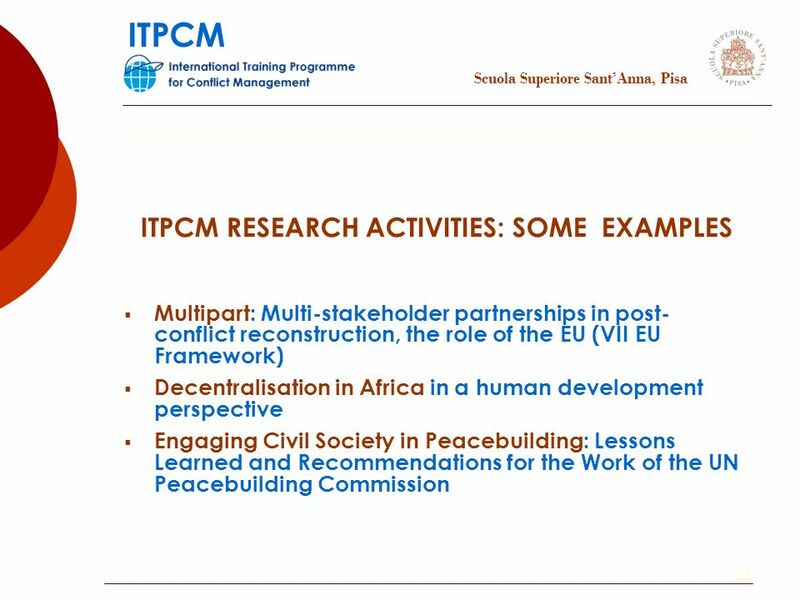 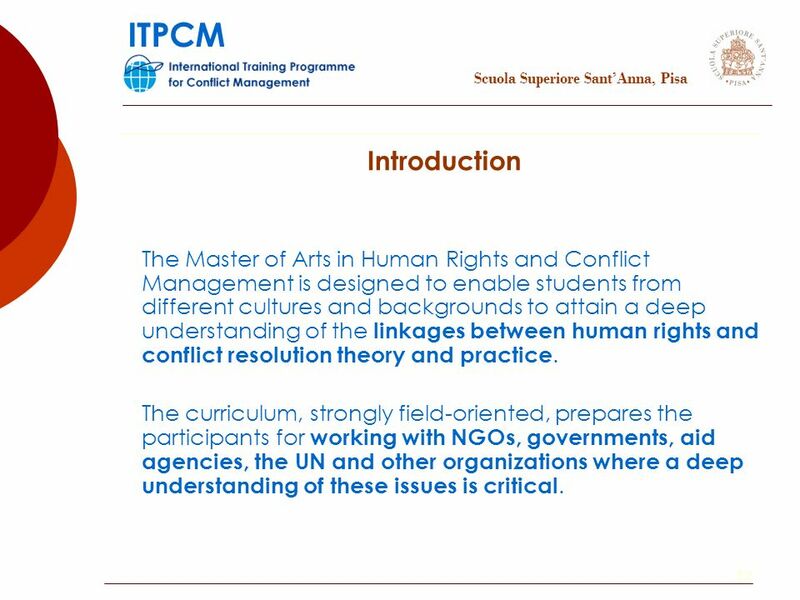 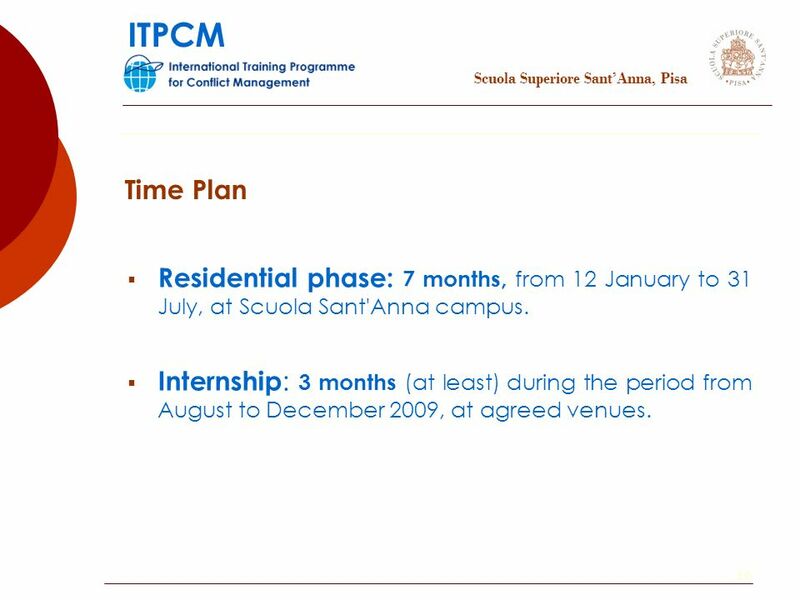 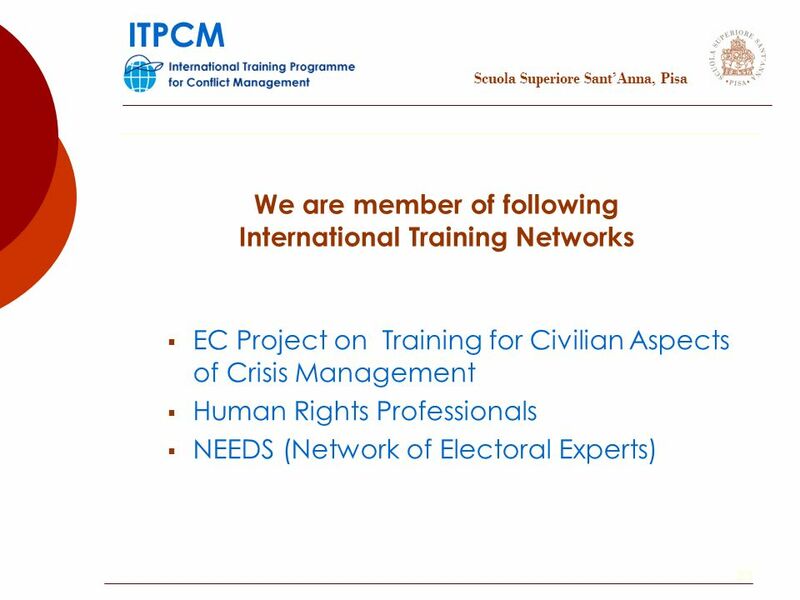 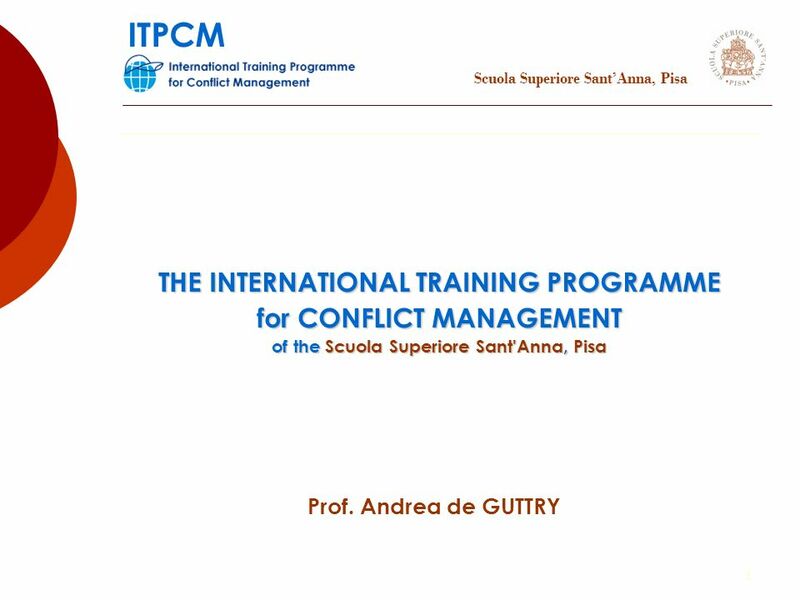 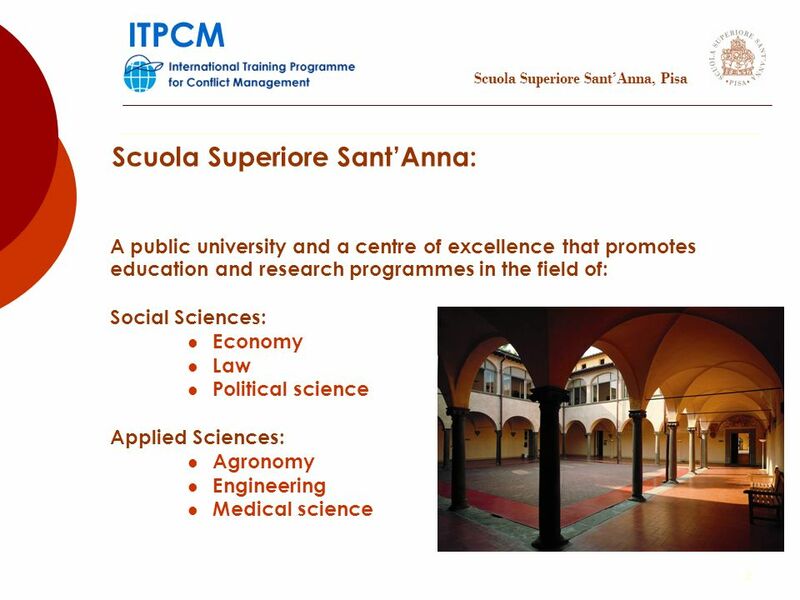 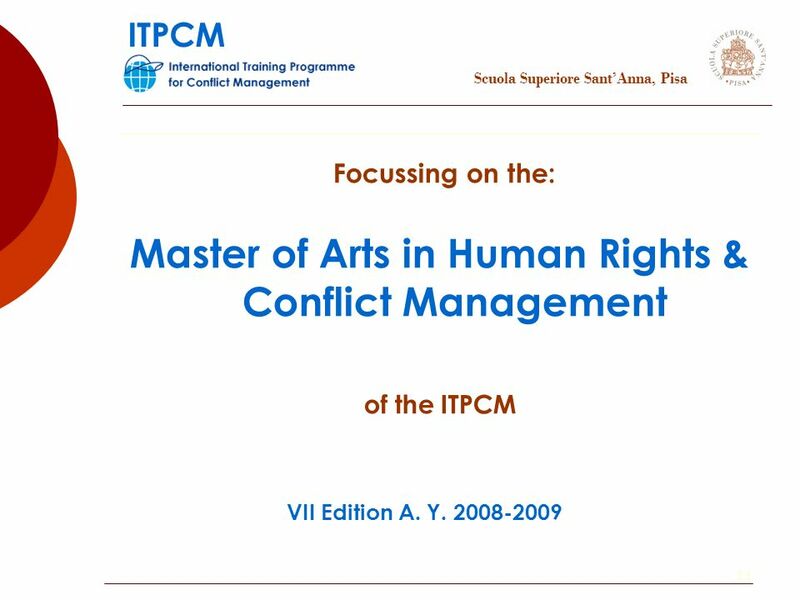 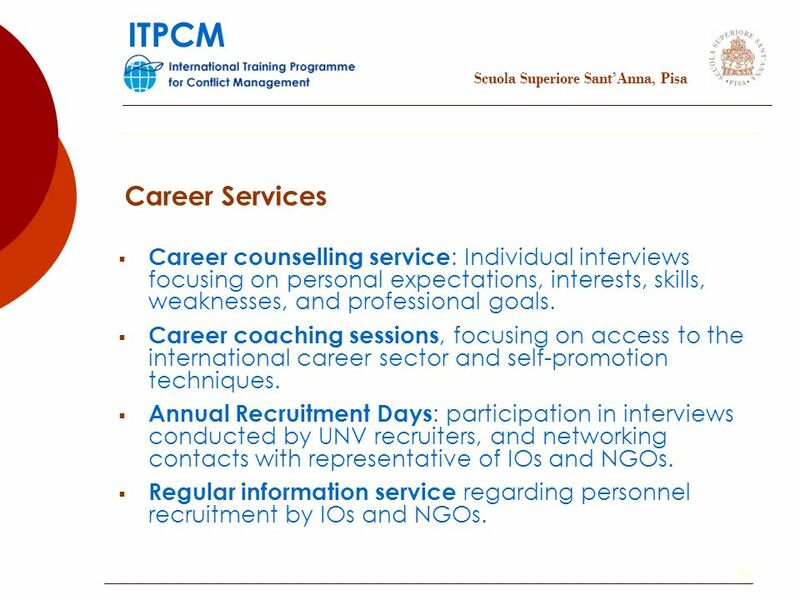 Download ppt "1 Scuola Superiore SantAnna, Pisa ITPCM THE INTERNATIONAL TRAINING PROGRAMME for CONFLICT MANAGEMENT of the Scuola Superiore Sant'Anna, Pisa Prof. 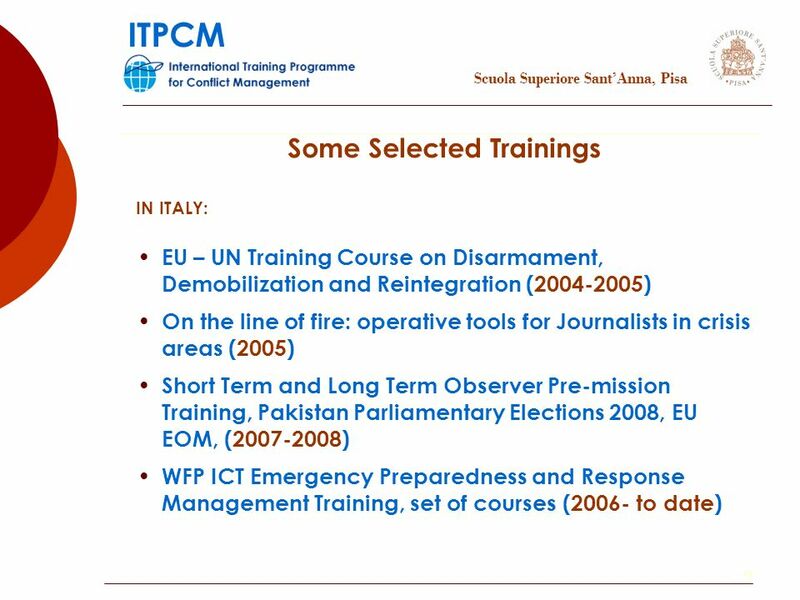 Andrea." 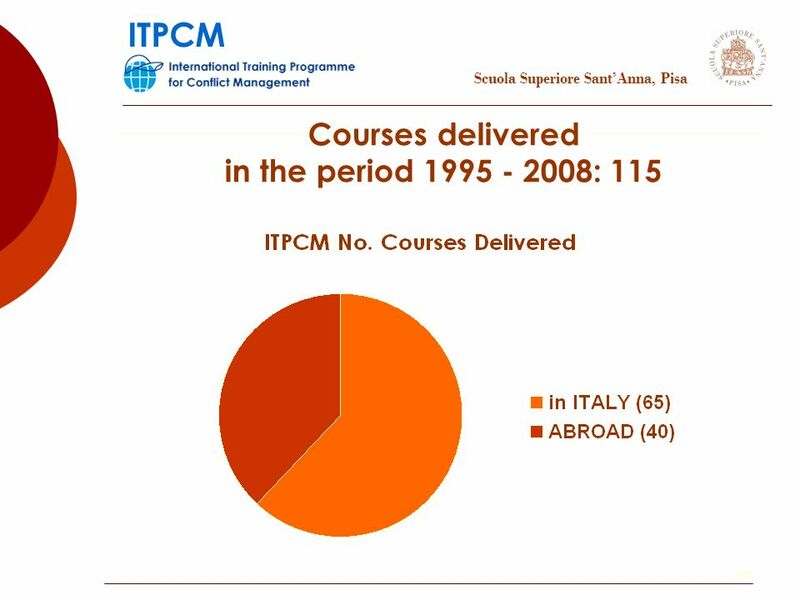 Joint Degrees – Further Developments International Bologna Seminar 6 -7 May 2004, Stockholm The Italian Case Italian Ministry for Education, University. 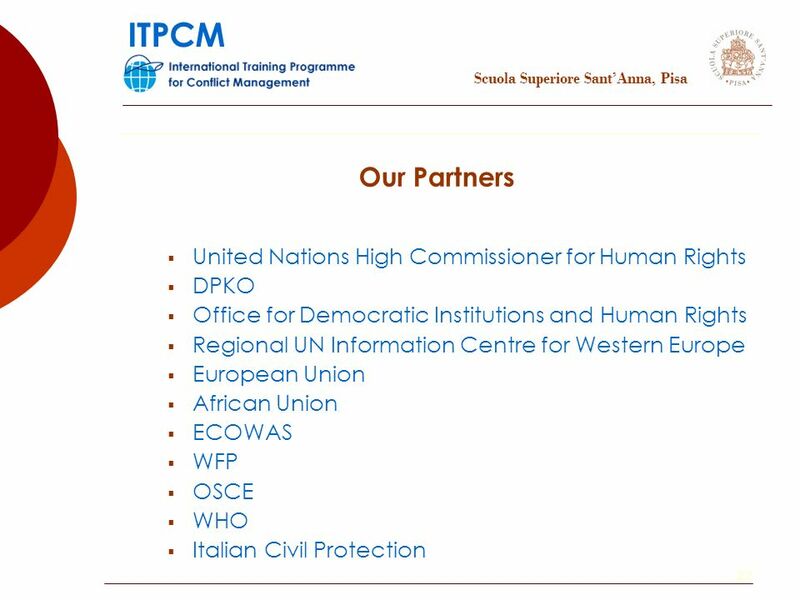 ”Towards further strengthening the cooperation between AK and partners in South” Sunday, 27th November 2011 - Wednesday, 30th November 2011 AK Partnership.